Do you require the services of a leader who has a broad range of experiences as a speaker, teacher, consultant, facilitator, coach and mentor? Consider engaging my services. As a leader I can support and assist you to spark new ideas, assist in developing and implementing innovative plans, produce progressive projects and stimulate growth and transformation in you and your organization. The following is a brief summary of the professional services that I have delivered as a leader for over 40+ years. 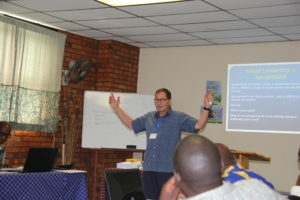 As Technical Consultant for the Wellspring Foundation for Education, I currently am a faculty member and presenter in Wellspring’s Abundant Leadership Institute, a Post-Graduate leadership program delivered to Central and East African educational leaders. I deliver a week long educational leadership module focussing on school leadership principles and practices as well as coordinating an accreditation process with Trinity Western University in British Columbia. 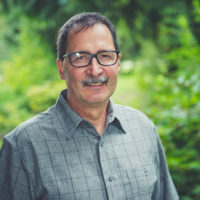 As a Superintendent/CEO of a large metropolitan school district in British Columbia Canada, I was responsible for leading and facilitating a leadership team of over 125 leaders, organize school district Board meetings, facilitate numerous district presentations, and act as chief educational advisor to the Burnaby Board of Education on its policies, procedures and programs. As a senior educational leader I have been actively involved in the recruitment and succession planning of senior educational leaders, school-based leaders and teachers. As an educational consultant I have provided services as a researcher and developer of Pathways to Excellence School Self-Assessment and Goal Setting Project For African Schools – Development of School Administration/Leadership, Classroom Management and Inclusive Education Modules for Opportunity International – Chicago, IL. As an educational consultant I provided expertise in facilitation in a challenging high school transition process involving three independent schools in British Columbia. As a educational consultant I have assessed school board effectiveness in the governance of schools and districts and provided a list of recommendations and suggestions to improve school board effectiveness. As a Speed of Trust presenter & facilitator I have delivered Leading at the Speed of Trust sessions to schools, churches and to the Burnaby School District. Use the form below to contact me if you are interested in my services. Include your organizational information along with any specific requests. To help best service your enquiry, I recommend that you first describe the what you want to achieve. You may also email me to make an appointment.